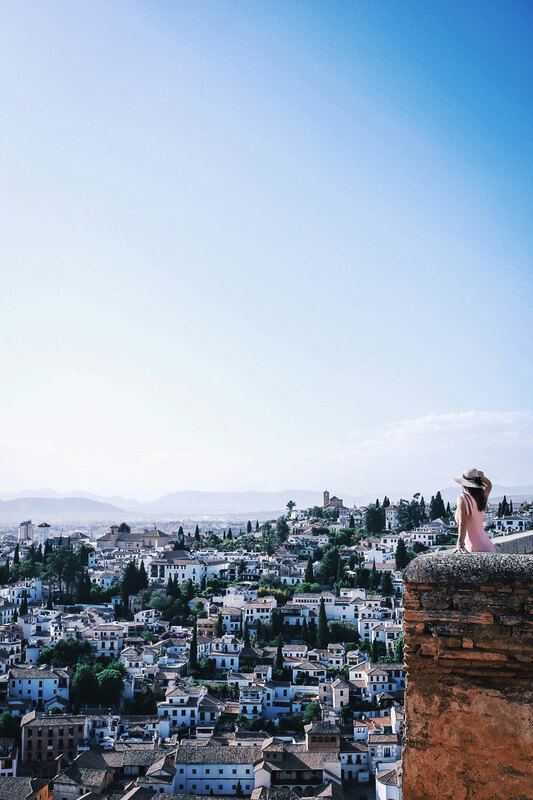 I’m sure it’s become abundantly clear that travel is just about my favourite thing in the world. But being a West Coast Canada girl means that getting across the country can take a little bit more time when compared to other parts of the country. It takes about five hours to get across the country and to make your way across the Atlantic is at a minimum around eight hours! 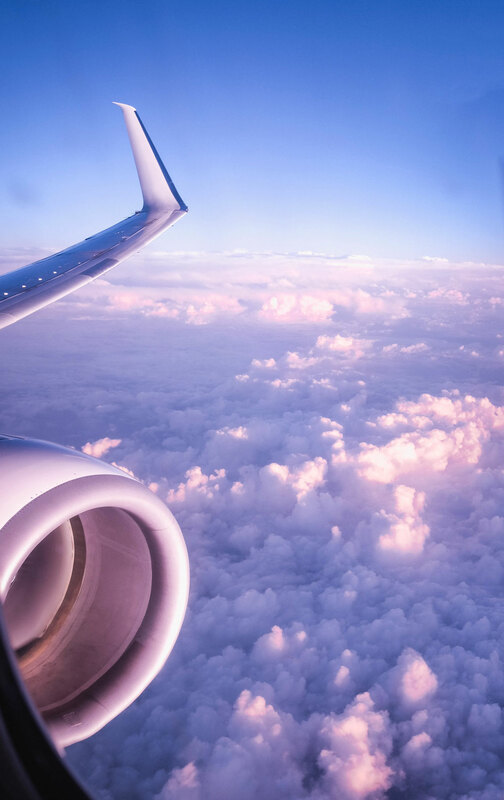 As a result, I’ve made it a priority to travel with as much comfort, value and efficiency as possible because these longer flights really ought to be the ones you have the best experience on. Fortunately, years ago on my first big trip (longtime readers, remember when I went away to Europe alone for a few months? That time!) on the recommendation of my older sister (who’d recently done the same big trip and ended up living in London), I booked with Air Transat and made sure I opted in for the Option Plus program. After experiencing it first-hand, it quickly became my go-to for flying! I love Option Plus because it’s a way of bringing some top tier privileges into economy class—from checking in at a dedicated, priority counter, having added baggage allowance, priority boarding and the special perks you receive when you’re up in the air (the neck pillow alone saves me on those long flights!) – it is well worth it. 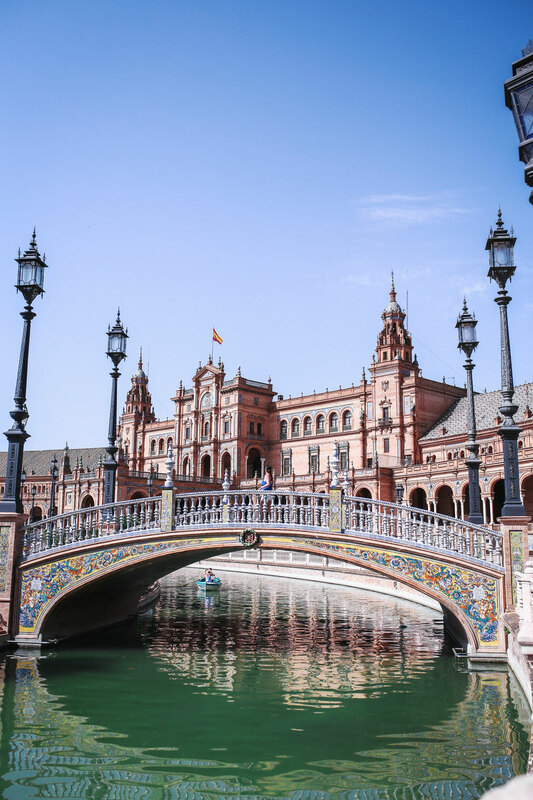 Starting at just $129 roundtrip when travelling to European destinations and $109 roundtrip for flights to the South, it’s such a worthwhile upgrade! The lady seated next to Matt on our way home told him it was her first Option Plus experience and that she’d be doing it every time from that point on, especially after getting a complimentary glass of wine! The added perks are so worth it, so, consider it for your next flight. 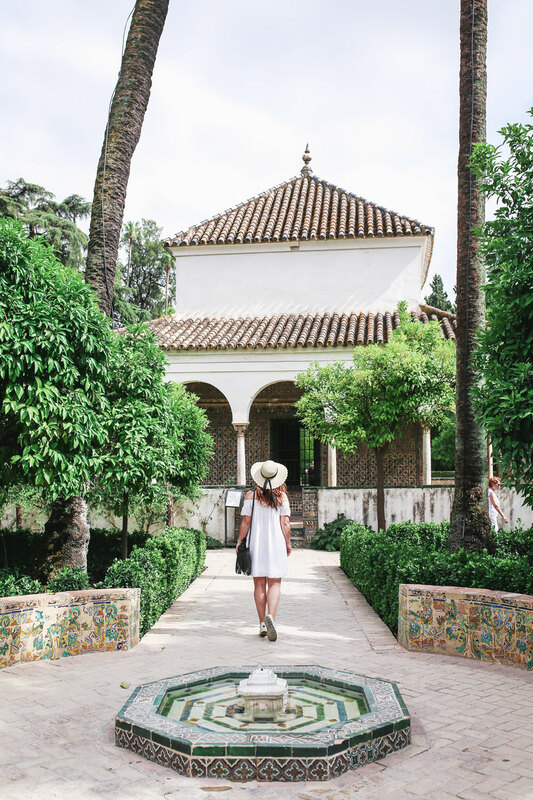 Now, on to our decision to get to Spain—we’ve done Barcelona before but really wanted to explore more of Spain, so we were so excited to discover that Transat flies 3 times a week from Vancouver to Barcelona between May to October, via a connecting flight in Toronto or Montreal. So much easier to have some more dates to play around with when you’re needing to escape to a different part of the country! While Barcelona was our arrival point, Madrid is also an option at one flight per week between June to September via Toronto! What I’ve done in the past (with my Paris-Dublin flights) and what I’m doing later this summer (flying into Athens, flying out of Amsterdam) is to take advantage of Air Transat’s amazing multi-destination flight option, which allows you to explore more of a country/area or, in my case, Europe as a whole by flying into one destination and flying out another at no added cost. Especially when you’re taking such a big trip, it’s so important to really maximize your time there! 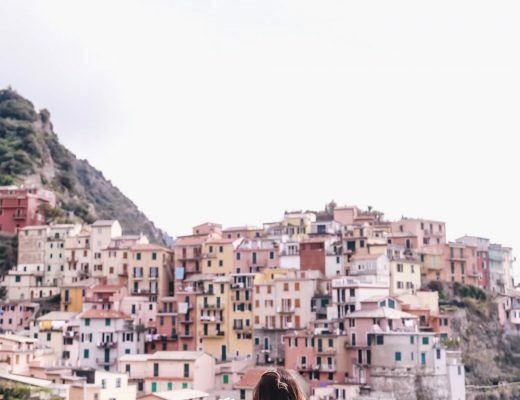 Such a thoughtful addition and one that’s clearly geared towards making life easier for adventurous travelers, rather than racking up added fees and making fliers jump through hoops. Seriously, check out this option if you’re going to take off to Europe or elsewhere! 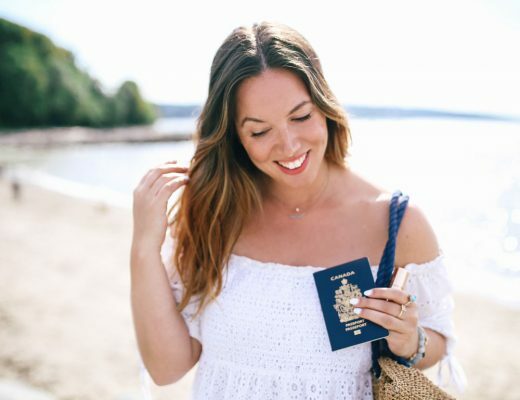 Now, on to a serious photo-heavy snapshot of each of our stops and a quick rundown of our itinerary for this dream trip that we got to experience thanks to Air Transat (which unsurprisingly, was voted the best North American Leisure Airline by Skytrax for 6 years running!). I’ll be covering each spot individually soon but let’s just say this is one of my favourite towns I’ve visited. Ever. In my top 5 destinations, hands down. 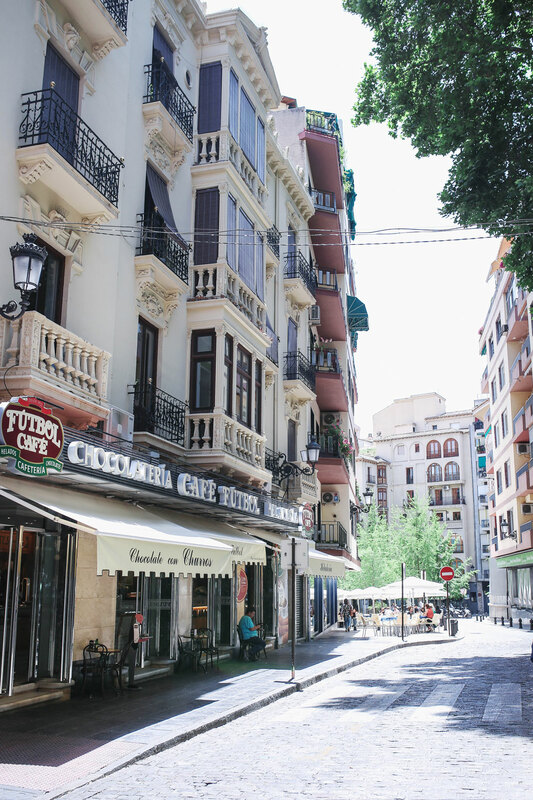 The friendliest people, the home of tapas where you can still actually get tapas at no added cost for every drink you have (need I say more? 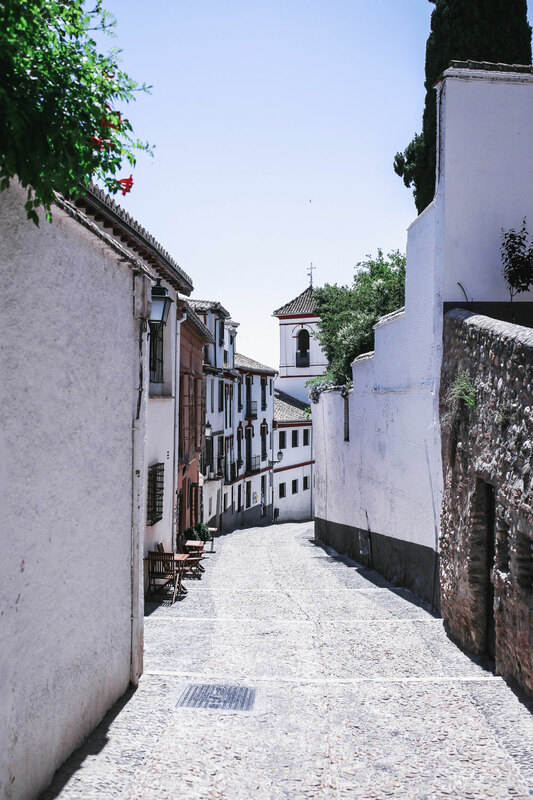 ), home to the Alhambra which is one of the most stunning places I’ve ever been, comprised of the most gorgeous whitewashed cobble-stoned streets winding all through the town and up the hills…it just holds such a special place in my heart now. 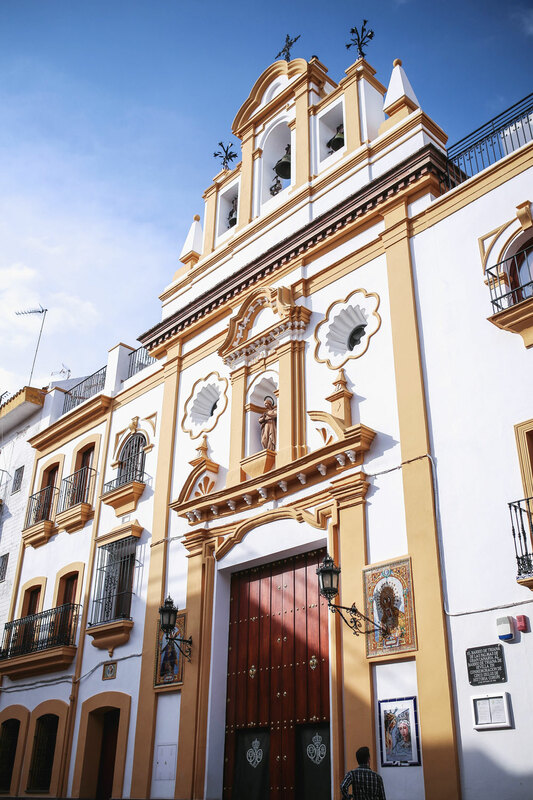 We spent 4 nights here which including our day trip to Costa del Sol, was just enough time. 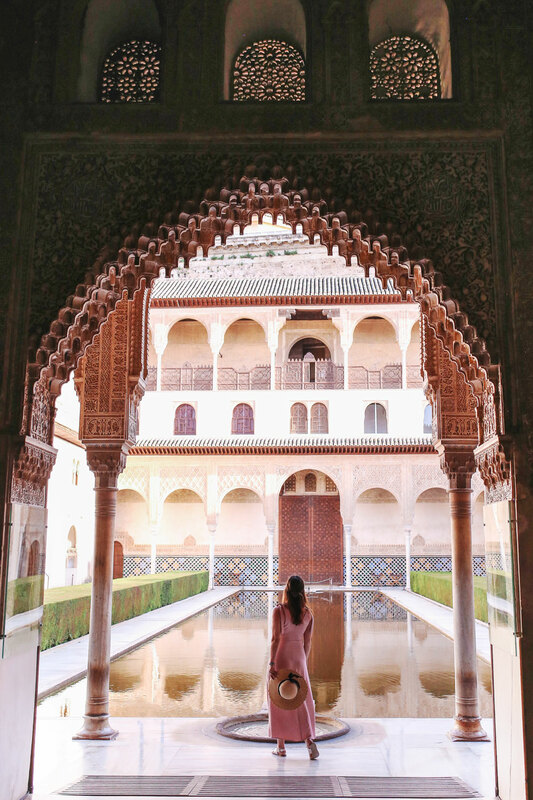 I could’ve stayed for longer, but if you’re working with a similar timeline of about a week or have other places to see (Cordoba, Toledo, etc), give it at least those 4 nights. Ah, Costa del Sol! 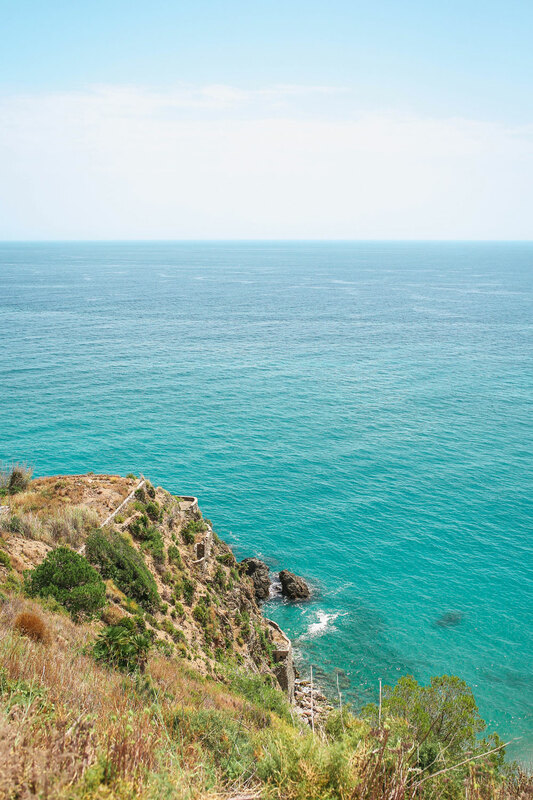 As its name suggests, an absolute paradise of turquoise water (stretching out to Africa, the nearest I’ve been to the continent I think with Morocco right across the way from Gibraltar! 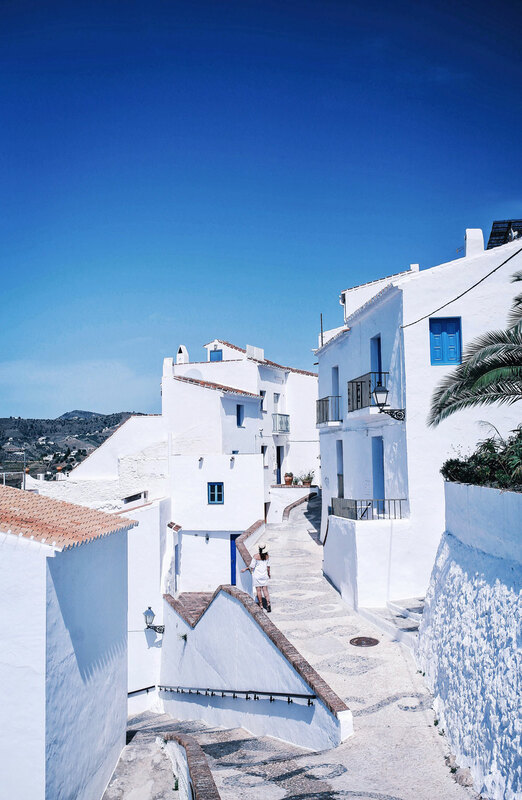 ), that hot Spanish sunshine, beautiful hilltop Mediterranean towns and icy sangria. 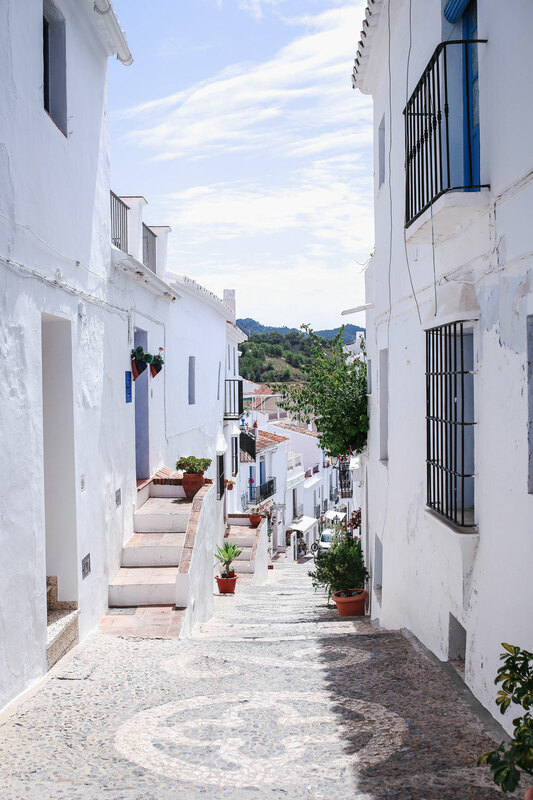 I’d stumbled upon a snap of Frigiliana and instantly fell in love. It reminded me so much of Greece but with a flavour all its own. 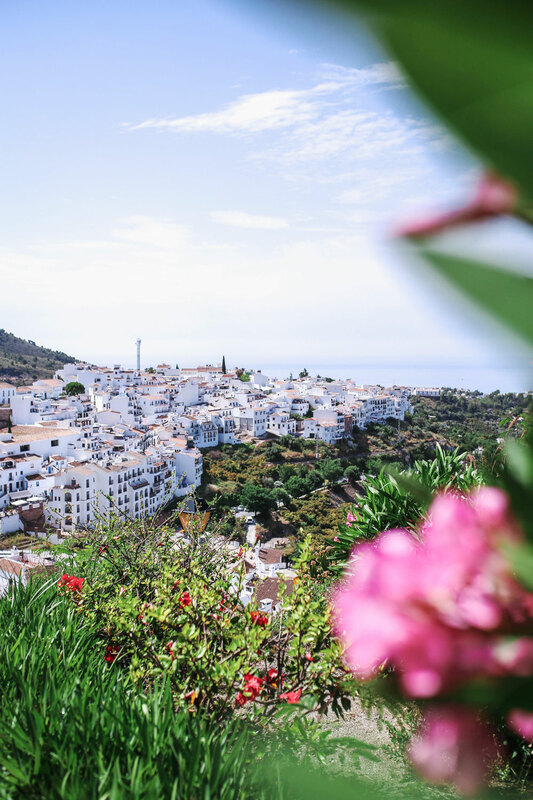 We also explored nearby Nerja (more on one big mistake we made though in our planning of Nerja in our Costa del Sol Road Trip guide!) before hitting up a couple of the coast’s famed beaches. 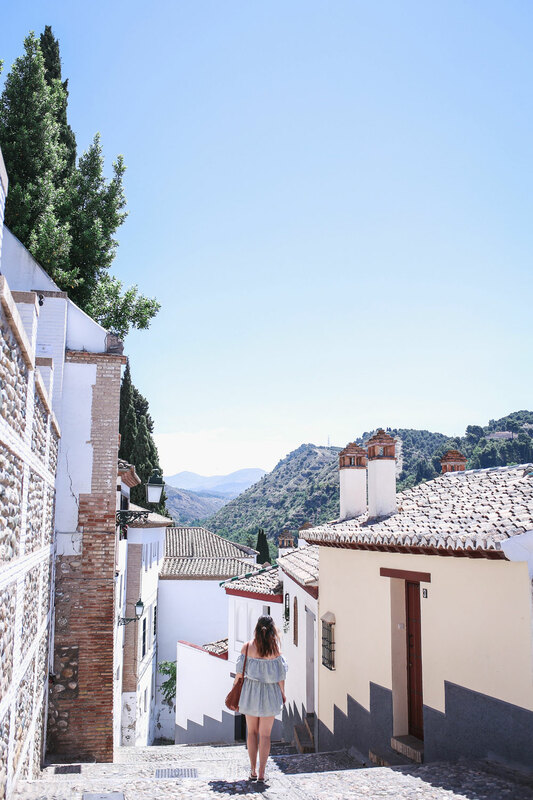 You could easily spend a night or two here but if you’re trying to maximize a shorter period, then do as we did and make a day out of it by driving down from Granada, which is only 1.5 hours away. 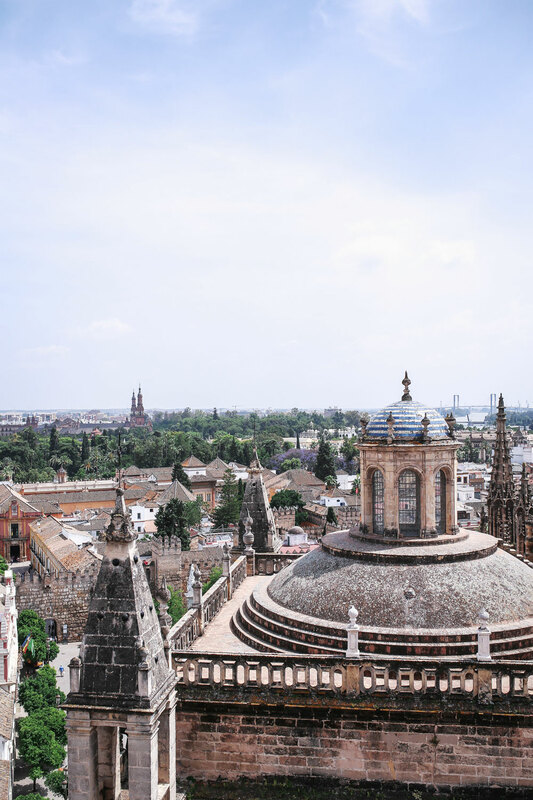 Seville (or Sevilla, in Spanish) instantly felt like a big town to us after acclimatizing to the slower pace of Granada and Costa del Sol (we must’ve really slowed down to Spanish speed for it to feel that way because we’re both from a pretty large city as it is!). 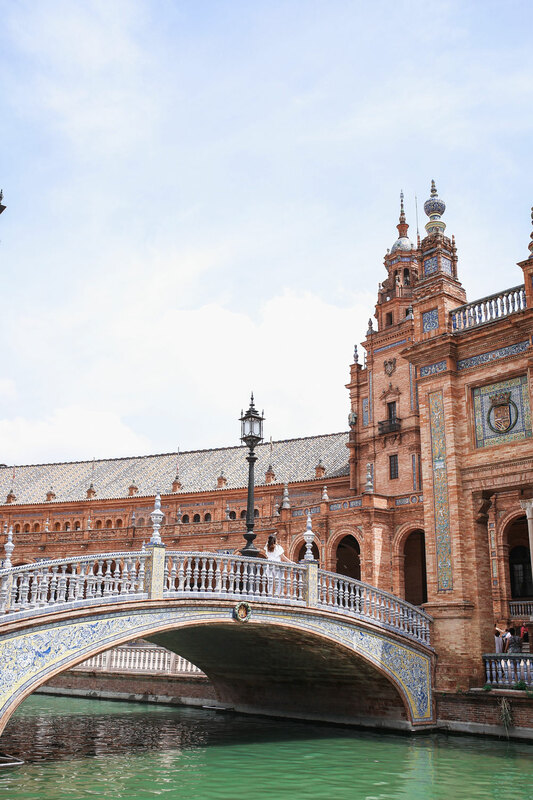 What I liked about Sevilla is that it’s a bustling university and work town, with people and students alike zipping along in their bikes to work or the next class (the bike lanes here are amazing, definitely an easy way to get around if you can bear the heat!). Having said that, it is Spanish and you definitely got the sense that siestas and living the good life were paramount above all else. Sleepy squares where all types would laugh and snack on tapas while having a cerveza or two became electric as soon as the night went down with everyone crammed into every available foot of space, flamenco shows where you can see the raw power and energy every dancer channels, some of the best live music I’ve ever heard by buskers at every site…it was just unreal. But after our whirlwind week, it was time to pack up and head home! Back in Barcelona and feeling slightly (very) heartbroken to be leaving, we were at least cheered up instantly by the fact that we’d get to try Air Transat’s new dishes from the Menu by Chef Daniel Vézina, the renowned chef behind two of Quebec’s most famous haute cuisine restaurants! We both had the vegetarian moussakka which was unreal (and a nice lighter veggie option after some serious tapas splurging!). Such an amazing departure from typical plane fare and so tasty! A decent doze on the plane and repeat viewings of La La Land later, we were back in Vancouver and already missing Spain. 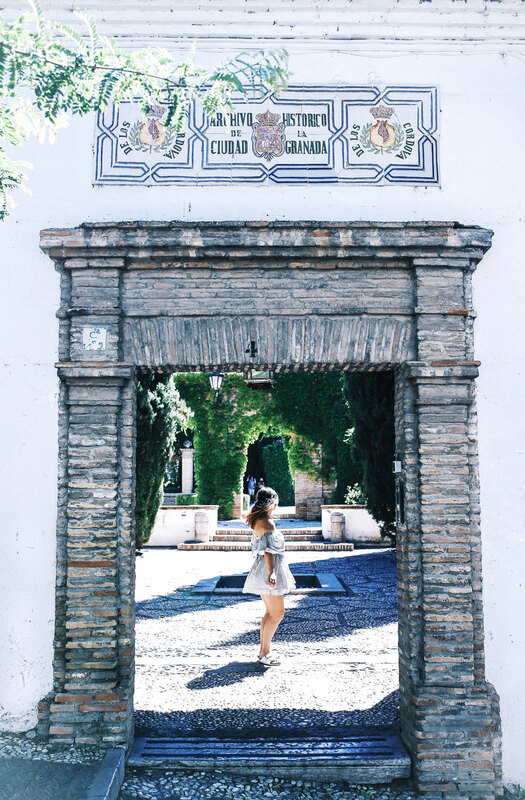 Fortunately, though, I get to relive it for at least a little while by sharing my Spain stories with you guys! 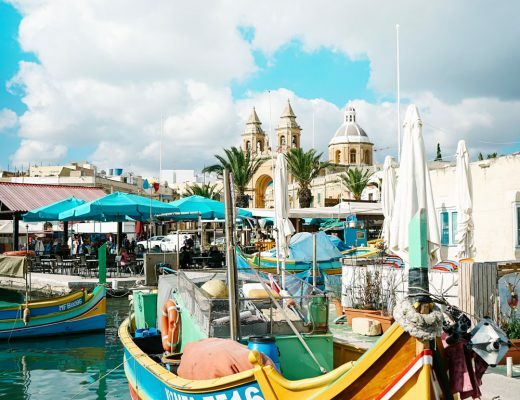 And then in August, off again with Air Transat—flying into Athens and then out of Amsterdam, yet another Option Plus experience (and a multi-destination one, at that) that I can’t wait for! I’ve gotten so many messages from you guys asking for more general travel tips (how I get around, pack, etc.) 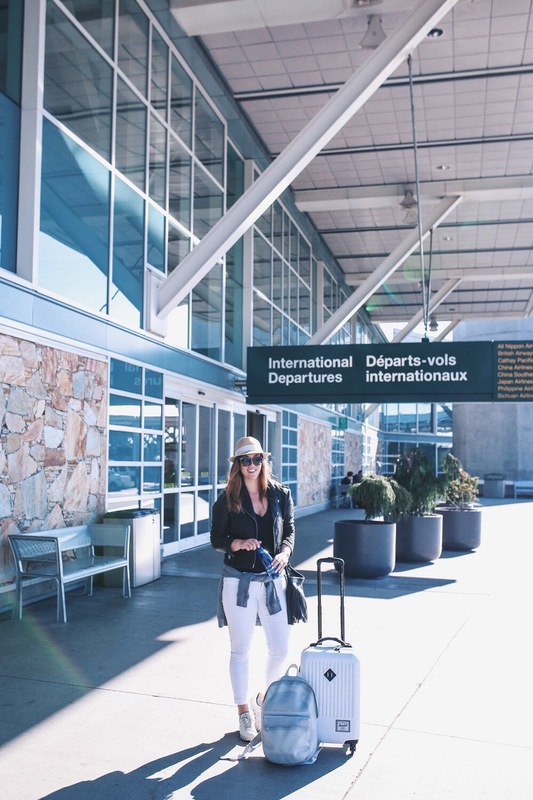 so I really hope this story helps because flying Air Transat again and again over the years has made travelling that much more amazing for me over the years! For more information and booking details, head to www.airtransat.com. 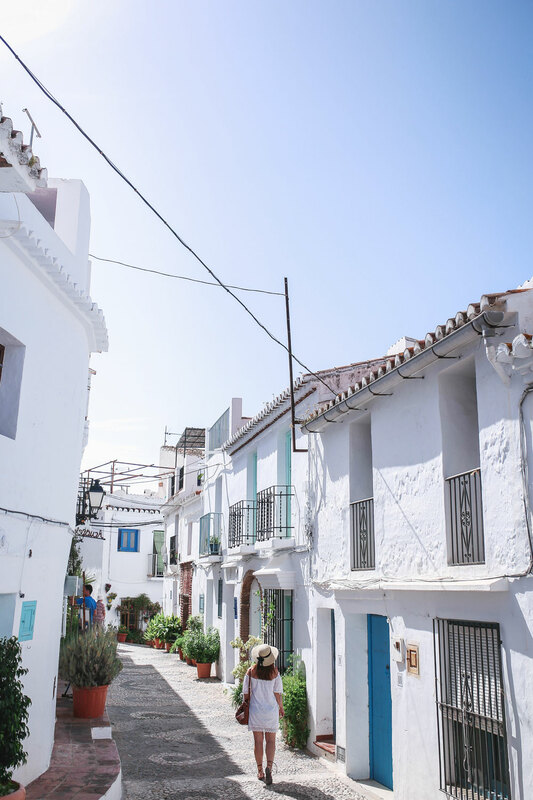 beautiful photos – this makes me want to book a trip to Spain! You won’t be disappointed if you do! It’s so amazing!